The odds where updated at 2019-01-01 11:53:06. We reserve ourselves for any abnormalities. Everton will visit Tottenham Sunday the 12 May with kick-off at 15:00. Tottenham are the favorites to win according to the odds from the betting sites. At the moment, you'll find the most adventageous odds at 10bet, 4/5. If you're interested in betting on Everton, who are underdogs at the betting companies, you're best off placing your bet at 10bet who will give you the highest odds, of 43/20. Tottenham won the last match against Everton, earlier in this season of Premier League, with the score of 6-2. If you're interested in betting on this or other games, you can use our adventagous tool BetMate. Press the in order to add odds and combine odds from multiple betting companies. Above, you'll find a list over different bets you can place at the betting companies so that you can compare them and find the best odds on the match between Tottenham och Everton. 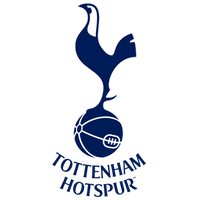 Calculating the total amounts of goals scored per match on home ground this season of Premier League, Tottenham has scored an average of 1,88 per match in the 17 matches the team has played on home ground. During this season, Tottenham has conceded a total of 13 goals in 17 games played on home grounds in Premier League. That means that Tottenham has conceded an average of 0,76 goals per match. In away matches this season, Everton has scored 22 goals in 17 matches. The away team, Everton, has an average of 1,35 conceded goals per match in Premier League. Tottenham has scored an average of 1,86 goals per match in the 35 matches that has been played in Premier League this season. During the past season, Tottenham conceded a total of 35 goals in the 35 matches played in the league. In average, Tottenham has conceded a total of 1,00 goals per match. Everton has scored an average of 1,43 goals per match in Premier League in the 35 matches played during the season. 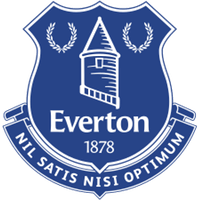 Everton has played a total of 35 matches this season, and during those 35 matches the team has conceded a total of 44 goals giving them an average of 1,26 conceded goals per match.